Oliver Gourlay Miller, as well as being a major player in Dundee's flax spinning industry, was also a prominent member of Dundee's civic society. He was described as a man of culture, a brilliant conversationalist and a raconteur par excellence. 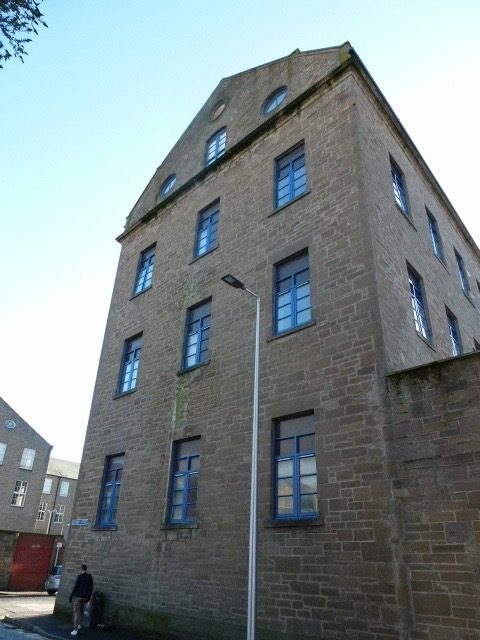 In 1865, O G Miller also purchased the estate of Ratho, Midlothian for £60,000. Oliver Gourlay Miller, as a young man, served his apprenticeship in a law agent's office in Dundee before going to St Andrews and Edinburgh Universities in order to qualify for the legal profession. 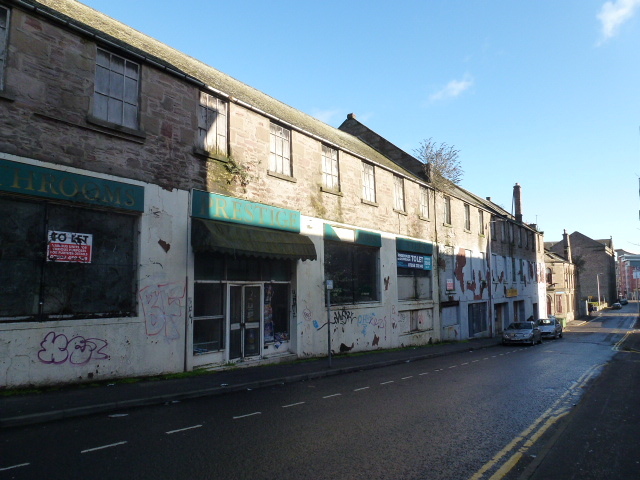 His return to Dundee saw him enter into legal practice during the 1830s. 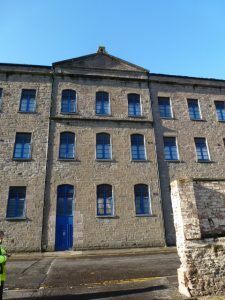 A change of direction in the 1850s saw O G Miller enter into the flax spinning industry and, by the 1860s, his success was clearly evident in that by the mid 1860s he owned five mills. 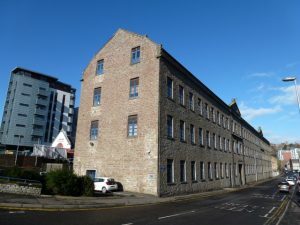 When, in the 1830s, Oliver Gourlay Miller returned to Dundee after University, he entered into partnership with Edmund Baxter, (brother of John Boyd Baxter – Procurator Fiscal), under the name of Baxter & Miller, writers, of 20 Reform Street. This partnership continued through the 1840s. By the 1850s, Miller, through his marriage to Mary Brown in 1844, had entered a family steeped in experience and innovation within the flax spinning industry. 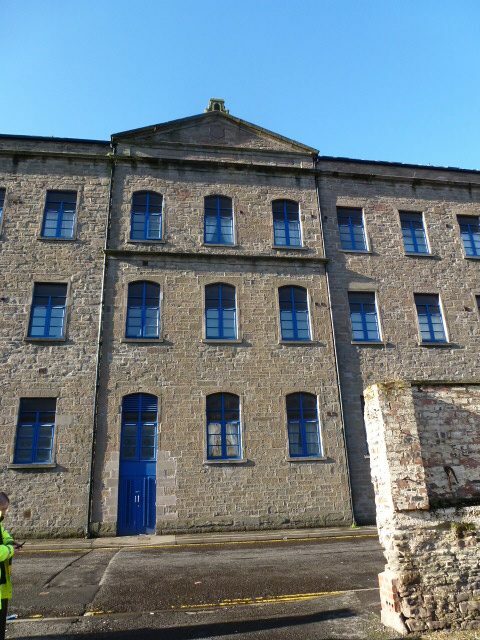 Miller joined the commercial business of flax spinning, alongside his father-in-law, William Brown (a well known and enterprising flax spinner). 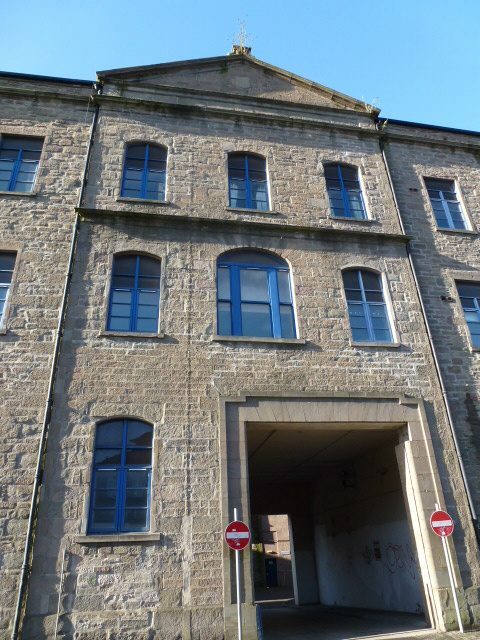 William Brown was the younger partner of J & W Brown, who, in 1846, had three mills. 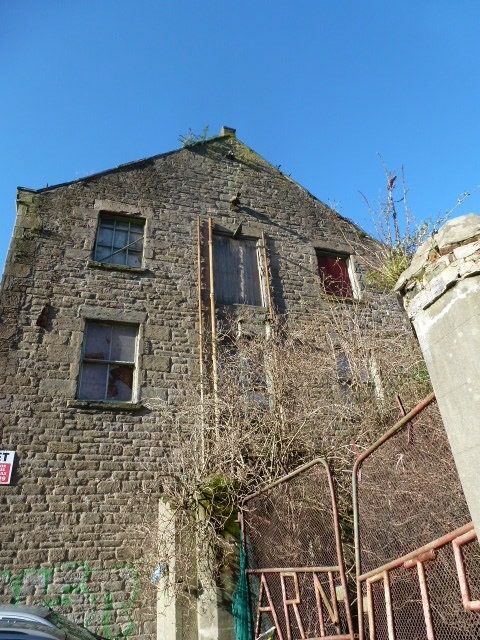 William Brown’s father, James Brown of Cononsyth, had been responsible for erecting the Bell Mill (also known as West Ward Mill) in Guthrie Street in 1806. He was also one of the early pioneers of flax spinning by steam power. After the retiral in 1856 of William’s brother and senior partner, James Brown of Lochton (the first President of Dundee’s Chamber of Commerce 1835-37 and 1845), William Brown was assisted in the management of the business by his son-in-law, Oliver Gourlay Miller, under the designation of Brown & Miller. Miller succeeded to the entire business on the retiral of his father-in-law, Mr William Brown. He eventually became the sole proprietor of the works. Oliver G. Miller, of the firm of Brown & Miller, afterwards O. G. Miller & Co., merchants and flaxspinners, Royal Exchange Buildings, acquired a large number of mills in Dundee. He owned six works in Brown Street and Guthrie Street. They were all contiguous and comprised the following – Arch (Brown Street – rebuilt and operational in 1852 for the spinning of the finer grists (thicknesses) of flax and tow yarns), East (Guthrie Street), North (Blinshall Street), Column (Brown Street) and South (both old and new – Brown Street and Session Street). Through his abilities, energy and enterprise, he gained a high reputation. Under his management, the claim was that his establishment was one of the largest concerns in the kingdom and, allegedly, O G Miller refused an offer of £100,000 for the huge works (Nominal value at 2018: Relative to income – £80,000,000 – Relative to inflation – £10,000,000). 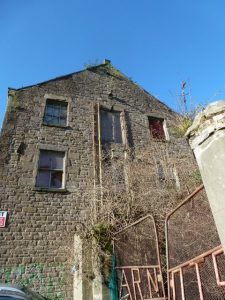 With the rise of the jute industry and other circumstances, the trade began to decline and, in August 1884, “the firm known as O G Miller & Son, failing to effect a private arrangement, came to grief.” On account of the depression existing in the trade, O G Miller & Sons (by which time he had been joined in business by two of his sons (1882) and a son-in-law), went into sequestration. It was mooted that although Oliver Gourlay Miller had been a big ‘spinner‘ he had no looms to cushion him from changes in demand and sold all his yarn in the market. At the time of sequestration in November 1884, the gross losses of the firm amounted to £125,983 (Nominal value at 2018: Relative to income – £ 100,782,400. Relative to inflation – £1,259,830) and all works were closed. After the sequestration of ‘O G Miller & Sons,’ the South Mills in Guthrie Street were once again operational when possessed by ‘Messrs A J Brough & Co’ (son of Subscriber 31 – Thomas Brough). Oliver Gourlay Miller, his wife Mary, together with his two sons Oliver and James and one of his daughters Mary Adelaide, emigrated to Manitoba, Canada soon after. There, he assumed the role of a farmer although his interest in his former occupation of spinner had apparently not deserted him. He is recorded as having had an involvement in the Manitoba Binder Twine & Cordage Company. 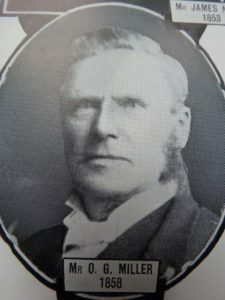 He was listed as a Provincial Director of the Company in 1891 – the entry showing Oliver Gourlay Miller, JP, Dundee, Scotland, formerly flax spinner there, now of Dugald, Manitoba, Consulting Director. Dundee Courier, 6 March 1900. p.6. Findmypast website. Old Parish Registers. Dundee. Marriages. 1844. 282/ 230 120. ScotlandsPeople website. Dundee Directory, 1864-1865. Dundee Central Library, Local Studies. Centenary Souvenir. 1836-1936. Dundee Chamber of Commerce. p.43. Newspaper Article. 6 March 1900. Obituary Notices. Book 2. (1885-1909). Dundee Central Library, Local Studies. Philadelphia Inquirer. 26 January 1876. Findmypast website. Valuation Rolls. Dundee. VR009800015-/251. ScotlandsPeople website. Dundee Directory, 1840-1842. Dundee Central Library, Local Studies. Dundee, Perth & Cupar Advertiser, 15 November 1864. Findmypast website. Warden, Alexander J. (1864) The Linen Trade, Ancient and Modern. London. Longman. p.627. Watson, Mark. (1990) Jute and Flax Mills in Dundee. Hutton Press. p.23. Winnipeg Tribune, 16 December 1891. Findmypast website. The information above about Oliver Gourlay Miller has been collated from a range of digital and hard copy sources. To the best of our knowledge it is correct but if you are relying on any information from our website for the purpose of your own research we would advise you to follow up the sources to your own satisfaction. If you are aware of an inaccuracy in our text please do not hesitate to notify us through our Contact page.